Contains information about the documents of all types. Contains a directory of goods and information of Inventory Rests. 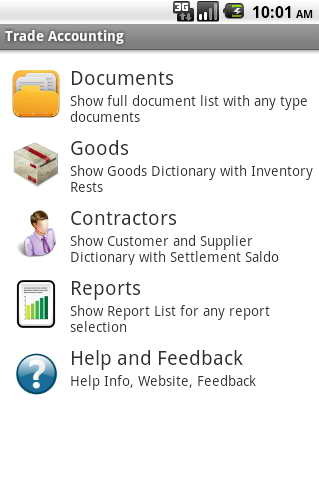 Contains directories of suppliers and customers. 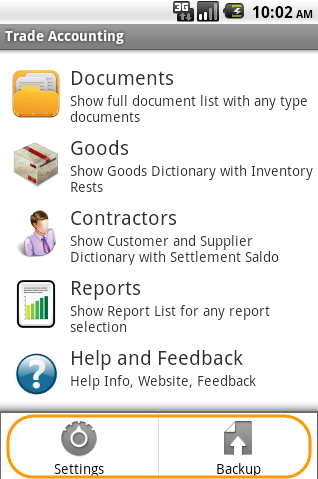 Contains a list of reports available in the program. The options menu is opened click "Menu". Input to the system settings. Allows you to save the database in the format of Google Docs or restore the database from a backup.